This is the corniest thing Victor has ever written. I’m so proud of him. Sorry this one is a bit late. 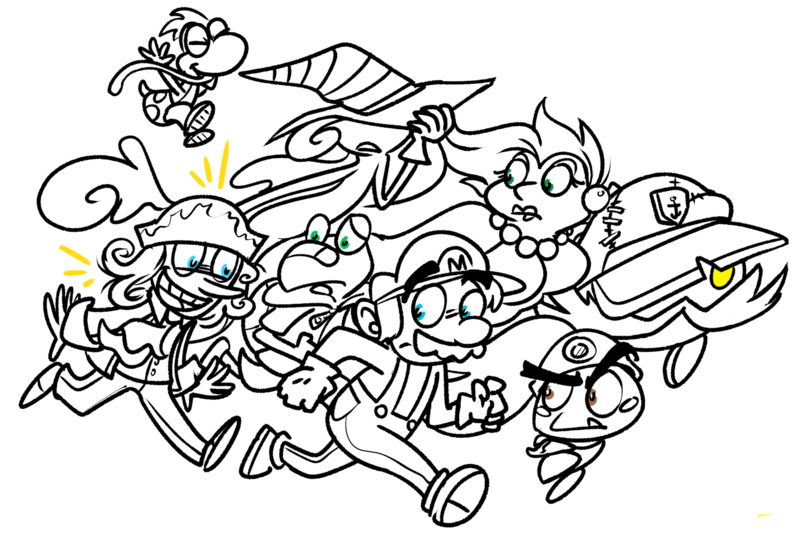 I got distracted by drawing stuff for AGDQ. It’s not too late to check out the games they’re playing today and donate to a good cause! For those who don’t click on links, but do read comments, AGDQ stands for Awesome Games Done Quick, and is a speedrunning thing. Yes, I am aware that is a vanishingly small group of people. What games are you most interested in this year? Wowie, I wasn’t expecting Skärva to do that, but then again ego is a thing. A nice end to the arc! I haven’t been keeping up with much of anything online. I’ve been even more busy than ever and I’ve just been trying to focus on rest when I am at home, but I’m still kicking strong! I hope you two and the rest of the readers have been doing just as well. Yeah, take care of yourself! Hopefully we’ll be moving along at a regular schedule again now, but it still shouldn’t take too long to catch up when you can. I’m doing fine and I’ve been pretty on fire with pumping out art lately (by my standards). Life has been so awful to me lately, I haven’t been able to keep up with anything. I almost missed THIS! I live for the corn. Thank you for the harvest, Victor. 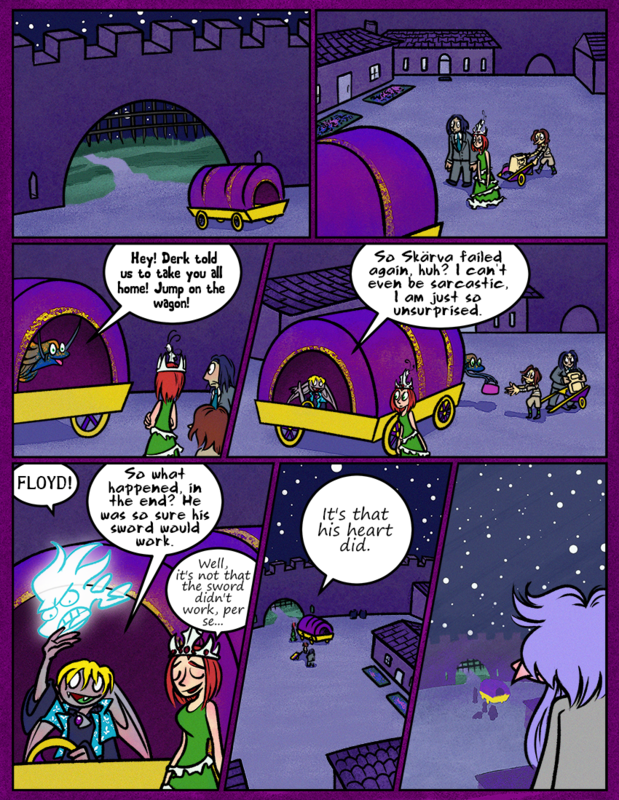 I like how tho page came out. It looks really nice. 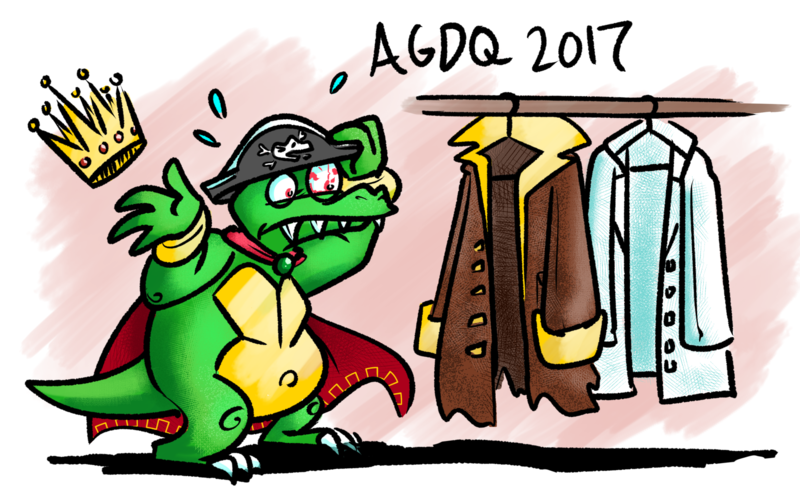 Aw man I missed agdq this year!